The Parisians promise revenge on The Marquis St Evremonde in Ballinrobe Musical Society’s production of A Tale of Two Cities. Picture: Elizabeth Toher. 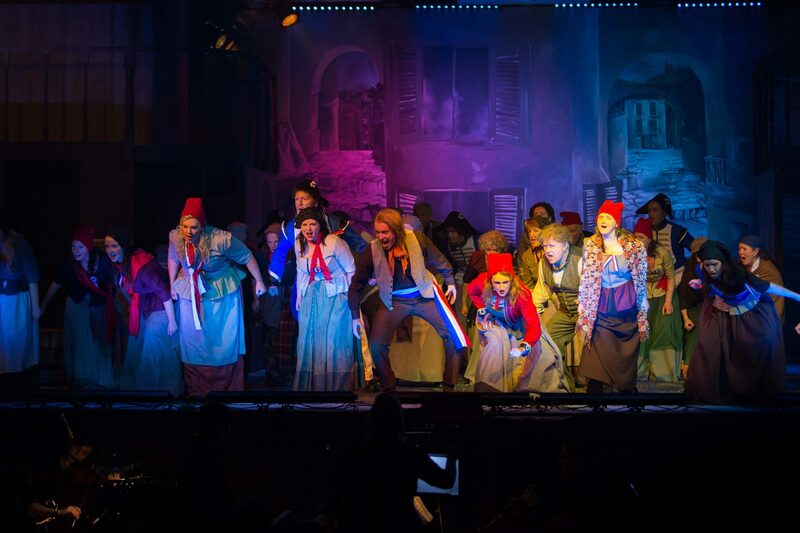 Ballinrobe Musical Society’s 40th anniversary show – Jill Santoriello’s A Tale of Two Cities – was nothing short of magnificent. Audience’s at Ballinrobe Community School auditorium were transported by the award-winning group staged an eight-night run. And Jill Santoriello herself flew in direct from New York to catch the show. Read Crona Esler’s full review and Jill Santoriello’s reaction in next Monday’s Western People.